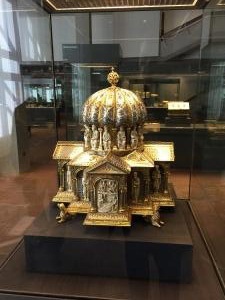 WASHINGTON (March 31, 2017)- The United States District Court for the District of Columbia has ruled that claims over the famed Guelph Treasure can proceed against Germany in a United States court. This is the first time Germany will have to defend itself in the U.S. against allegations of looted Nazi art and artifacts. The claims arise out of the 1935 forced sale by a consortium of Jewish art dealers to Hermann Goering’s minions of the famed collection of medieval artifacts known as the Guelph Treasure. The claims were filed by clients of Sullivan & Worcester LLP against the Federal Republic of Germany and the Prussian Cultural Heritage Foundation (the Stiftung Preussischer Kulturbesitz, or SPK). The court rejected the Defendants’ arguments that they are immune from suit and held that the Plaintiffs’ claims can be considered a taking of property in violation of international law for the purpose of evaluating the court’s jurisdiction over Germany and the SPK.. Jed Leiber, Alan Philipp, and Gerald Stiebel may now proceed to litigate their claims for their property’s rightful return. Leiber, Philipp, and Stiebel are also represented by S&W’s co-counsel in this matter, Markus Stötzel and Mel Urbach, experienced counselors in the return of Nazi-looted art who have been fighting this case for over eight years and who decried Germany continuing to defend the Nazis’ and Herman Goering’s theft from Jews. The Staatsgalerie Stuttgart has agreed to return Bildnis Pfalzgraf Johann III (Portrait of Elector-Palatine Johann III), ca. 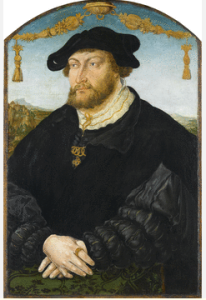 1526, by Hans Wertinger to the heirs of the art dealers Saemy Rosenberg and Isaak Rosenbaum, the owners of the art dealer firm I. Rosenbaum in Frankfurt. Rosenbaum and Rosenberg sold the Wertinger in 1936, but the proceeds were paid into a Nazi-blocked account. The work eventually ended up with collector Heinrich Scheufelen in 1948.